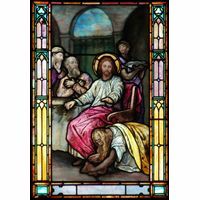 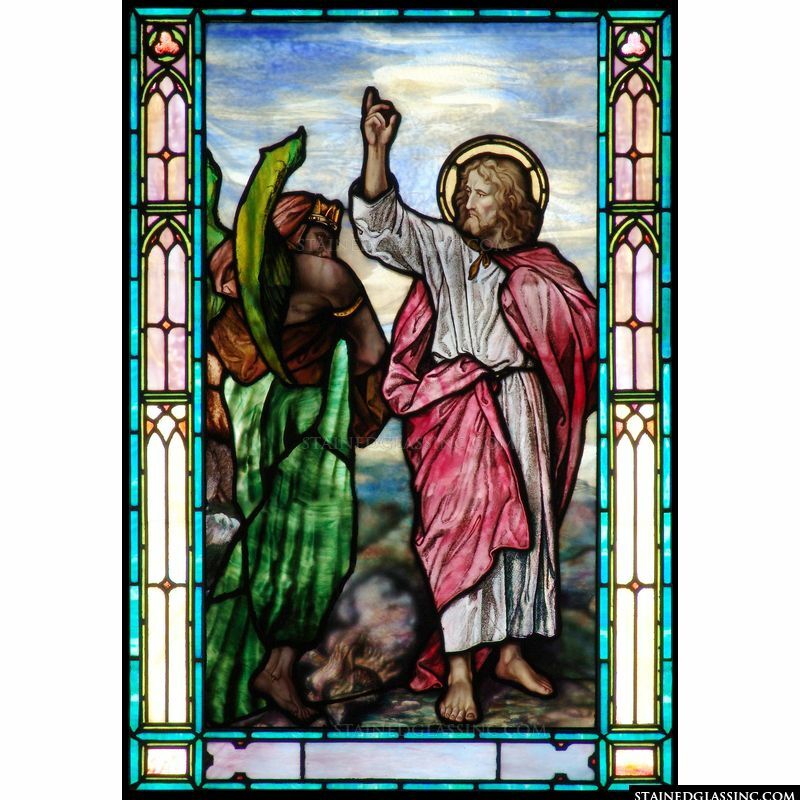 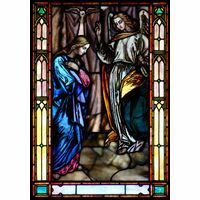 In this brightly colored stained glass panel, the Devil is depicted as a green winged angel in this portrayal of the temptation of Jesus. 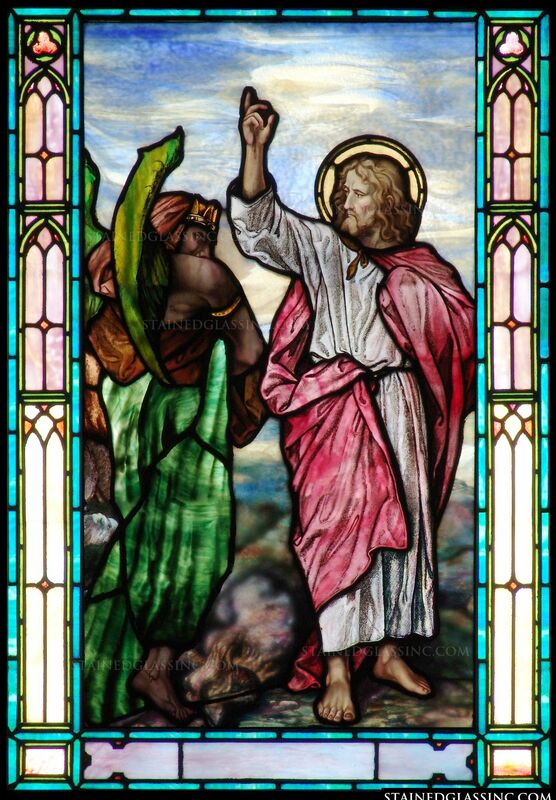 The Bible tells of many instances in which the Devil tried to lead Jesus astray, but Jesus was steadfast in his beliefs and actions every time, providing a wonderfully inspiring model for all Christians to follow when tempted to stray from their Christian beliefs. 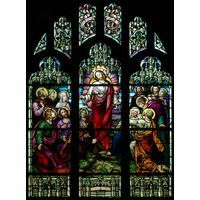 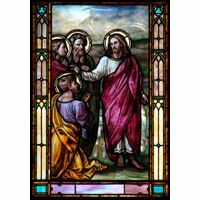 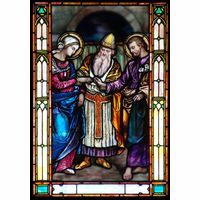 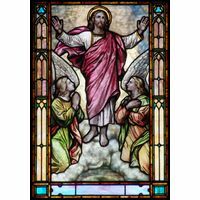 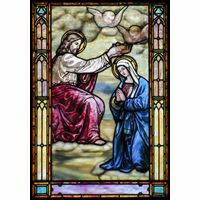 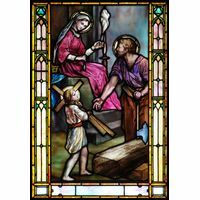 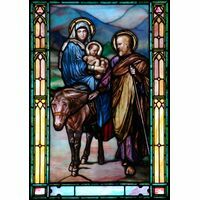 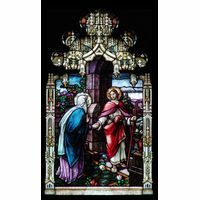 This inspiring stained glass panel is a great addition to a church, chapel, or home.